The immune system is the army that protects us from invaders. It extends throughout the body and protects us from bacteria, viruses, and cancer cells. An important but often unconsidered part of the immune system is the lymphatic system – bone marrow, thymus, lymphatic vessels, lymph nodes, and spleen, as well as adenoids and tonsils. 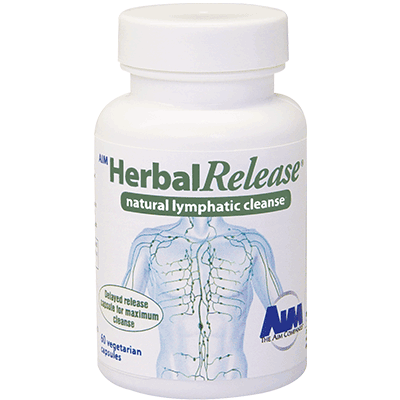 The 11 herbs found in AIM Herbal Release® work together to cleanse and support the lymphatic system. These herbs may also help with bowel regularity. Take it with AIM Herbal Fiberblend® to get complete detoxification effects.